Do you come home every day with excruciating lower back pain? Do you sit most of the day without taking a walk or enough breaks? All of this can take its toll on your spine causing you discomfort and possible severe back problems. Going for physiotherapy is expensive for the average person. However, not correcting back dysfunction at its early stages can be detrimental to your body. So is there an inexpensive way you can relieve back pain and strengthen muscles? Pelvic clocks are designed to help people with dysfunctions such as scoliosis, spondylolisthesis, piriformis syndrome, and lumbar spinal stenosis. Using a pelvic clock is a way to relieve your pain while incorporating exercises into your routine. Who Invented the Pelvic Clock? Yana Blinova lived in Siberia where she studied her masters in Exercise Science. She coached the Soviet Army Rhythmic Gymnastics Team and she was a former Olympic coach. Although Yana is an accomplished coach she suffered major back injuries when she was a teenager. Her doctor recommended extensive spinal surgery to correct her ailments. Yana, being the intelligent woman she is, felt she didn’t need the surgery if she could invent a tool to correct her spinal injuries. She molded her very first prototype of the pelvic clock out of plastic in her own kitchen. Yana named this tool the Pelvic Clock to honor the lessons of Feldenkrais and Pilates. The pelvic clock is now available to people all over the world. The pelvic clock is a small round device with a dome-shaped bottom. The top has an indentation that’s basically the same shape as the human sacrum (large triangular shaped bone at the base of the spine). Lie flat on your back with your feet shoulder-width apart. Place the pelvic clock at the base of your spine with the narrow part facing down. The pelvic clock slightly elevates your pelvis off the ground. The dome allows you to move your pelvis in different motions. You can now perform different pelvic exercises by moving the pelvic clock back and forth or in circular motions. You can use the numbers of the clock image on the device as a reference for your movements. One of the core benefits and functions of the pelvic clock is to correct spinal dysfunction. It can improve the strength of your spine and relieve back pain caused by spinal injuries. Pelvic clock exercises can strengthen your back muscles which also improves posture. Having back injuries costs you a lot in medical bills. Using a pelvic clock can reduce costs in various parts of your life. Back injuries or spinal cord ailments usually require extensive surgery. Spinal operations aren’t cheap and could worsen your back problems rather than correct them. Using a pelvic clock can help fix your ailments which eliminates the need for surgery. Therapy can cost you a pretty penny, especially if you have to attend sessions regularly. Sometimes the incorrect therapy can also make matters worse. A pelvic clock allows you to perform exercises without the aid of a physiotherapist. Having a gym membership can be beneficial to your life, but gym membership fees add up over time. If you’re confident about doing exercises at home, the pelvic clock is a device to add to your exercise regimen. You can use it in the comfort of your own home. Do you realize living with chronic pain on a daily basis can affect your life socially and professionally? Enjoying life with the people you love is essential to building meaningful memories but pain and discomfort can ruin your time with loved ones. A pelvic clock can relieve the pain of injuries and dysfunction so you can live a comfortable life & take part in activities that require physical strength. Some people are guilty of slouching in their chairs. Unfortunately, slouching can cause Scoliosis over time. To improve your posture you must strengthen your core muscles. Doing pelvic clock exercises builds strong lower back muscles and core strength to aid you in sitting up straight. Doing any form of exercise is a good way to lose weight. Using a pelvic clock may reduce that stubborn belly fat you’ve been trying to get rid of. Strengthening your lower abdominal muscles will aid you in reducing fat over time. Should You Use a Pelvic Clock? Before going for therapy or surgery, you should try using the pelvic clock. If you suffer from various back ailments such as lumbar spinal stenosis, sacroiliac dysfunction or any back injury a pelvic clock may be the tool you need to help you recover. Does it relieve your back pain? Are you sitting more upright? How much stronger is your lower back? Is it strengthening your lower abdominal muscles? Can you notice a significant change in your posture? People who suffer from back ailments should use the pelvic clock for at least 30 minutes every day for a month. 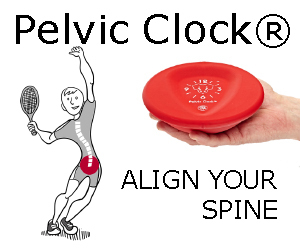 Over time the pelvic clock should start to relieve your pain and correct spinal injuries. 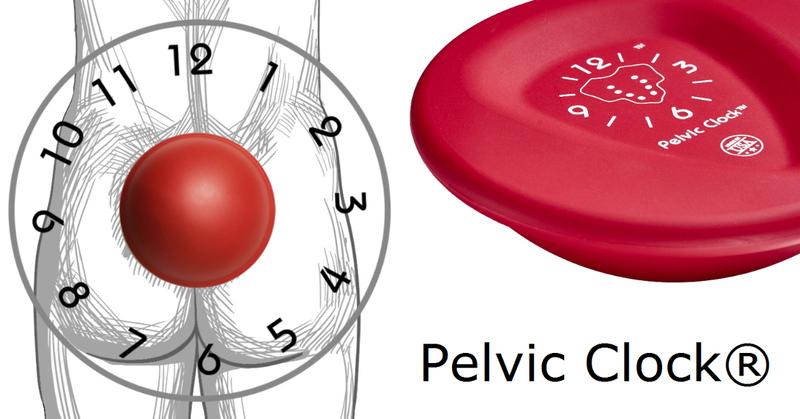 There are various exercises you can perform with the pelvic clock. Let’s take a look so you can pick the one that will be most beneficial based on your injury or the discomfort you experience. Lie flat on your back with your knees bent and your feet shoulder width apart for all the exercises you perform. Look at the clock image on your device. The six is located at the bottom and the 12 is at the top. By using the numbers as a reference, move your pelvis in the direction the numbers are located by lifting your hips to touch the 12 and then lowering your abdominal to the six. You can do this for 10 to 20 reps at a time and increase the amount when you’re ready to do more. The six and 12 exercises strengthen your lower back muscles and build core strength. It also relieves lower back pain and discomfort. Exactly like the images on a clock the three is located to the right and the nine is to your left. Using this reference roll your hips slowly from left to right while keeping the rest of your body stable. Your knees should be pointed to the ceiling at all times during this exercise. It’s recommended you do 10 to 20 reps at a time for this exercise. You can do more reps when you’re comfortable. The three and nine exercises strengthen your side & lower abdominal muscles. With this exercise, all you’re doing is swiveling your hips in a controlled circular motion. You can do this clockwise or anticlockwise. Use the numbers on the clock as a reference for where your hips need to dip and lift as you rotate. The recommended rep count is five for this exercise, but you can increase it when you feel you’re ready. Pilates is a series of exercises to strengthen muscles, improve posture and your overall health. It’s no wonder people use pelvic clocks in Pilates because the latter is focused on using different devices and apparatuses to strengthen your body. You can change up pelvic clock exercises by implementing other Pilates based tools. You can buy a pelvic clock from any leading online store such as Amazon or directly from the manufacturer. Here you’ll be able to see the product price and reviews from consumers all around the world. Does it help with hip and SI joint pain? Answer: The pelvic clock was designed to relieve pain and discomfort especially in the SI joint. It can relieve pain and provide the correct exercises you need to loosen up your hips & joints. Can I use this device on the bed? When you have chronic back pain you want to be able to take your exercise equipment with you wherever you go. You’re able to do that with the pelvic clock as it’s small and completely portable. You don’t have to spend money on therapy or surgery any longer. Use the pelvic clock and see how fast it can strengthen your body & relieve that pain that’s been bothering you for so long.